homezweethome.info - It is important that your office space looks inviting, professional, stylish and inspiring. You need to provide you and your employees with the best conditions for working. 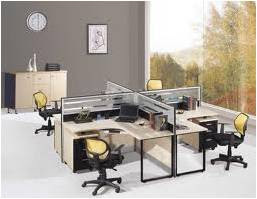 They need to feel like they are valued, and giving them a fantastic working area certainly shows that they are. Moreover, a happy working environment breeds productive staff and therefore you will feel the positive effects of this as well. Moving away from the in-house benefits, you also need to consider the impact your office has on your reputation and your brand identity. Every time a member of the general public walks into your office they need to be impressed – whether it is a customer, a post man, a competitor, or anyone else. If they leave feeling impressed, then your reputation has been enhanced, and this is pivotal. The key to a great office often lies within the office furniture found inside of it. There are lots of unique, contemporary, and stylish designs available today. But before delving into the different styles of furniture available for offices, it is important to bear in mind the fact that you need an overall vision from the beginning – or you at need least to develop one. You should keep a clear theme and style throughout. If you mix too many contrasting colours, designs and/or styles then you will achieve a confused and cluttered look. This will lower productivity levels and create a negative impression around your company. When it comes to office furniture, one of the most important pieces of furniture you need to concern yourself with is office chairs. This is highly important because you need to make sure that your employees are comfortable. After all, it is likely that they are going to be sitting on those chairs for a large proportion of eight hours, and therefore they need to feel comfortable. Additionally, chairs provide you with a great opportunity to add some contemporary style to your office space. You will be able to utilise different colours in order to add life and personality to the area. You can even incorporate the colours of your business logo – this works extremely well. Furthermore, there are lots of different styles and designs of office chairs nowadays. These work particularly well in the reception area. You can add some unique and unusual styles of chairs in order to attract the attention of your customers or any other members of the general public. These are stand out pieces that are bound to get people talking. Aside from chairs, you also need to consider desks. There are lots of different types of desks you may need to purchase, these include; reception desks, standard office desks, executive desks, call centre desks, adjustable height desks, and so on and so forth. The main thing you need to consider is space. You need to think about who is going to be sitting at the desk and how much space they will need. As an employee, there is simply nothing worse than sitting at a desk and feeling like you have no room. This can affect productivity levels because individuals do not feel like they have the means to work properly. There are also some fantastic designer desks available at the moment as well. These boast shiny sleek styles and are unusual pieces. Don’t be blind sighted by style though, consider practicality first and then allow fashion to play a role. And a final part of office furniture worth considering is storage. Storage can provide a headache for a lot of companies. You need to make sure that everything is neatly and efficiently packed away. Your employees should have easy access to everything that they need, yet don’t keep everything on show because this looks untidy and unprofessional. If you consider storage, chairs, and desks, then you have the basis for a stylish and inspiring office space. Andy is a professional interior designer. He has a vast ideas on interior decoration specially on office furniture designing. Is his spare time; he likes to read different journal from web.